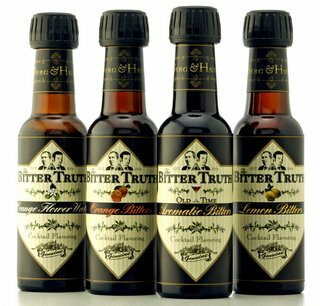 Here we are, folks — MxMoIX is upon us, and our good host Michael Dietsch from A Dash of Bitters has chosen as his topic — wait for it — bitters. If you’ve read this far you’re probably a cocktail and especially bitters geek like me, so by all means, clickety right here for The Bitter Truth and order some of the best new cocktail ingredients to hit the market in recent memory. Bookmark that URL, too — rumor has it they’re working on additional bitters for future release. I also had the chance to try angosturas 2 prototype new orange bitters in october in Their facility in Port of Spain. I found it to be more spiced, deeper and less “orangepeel in your face”-like than the fee´s. Wonderful..